Thanks so much for stopping by! Happy Release Day!! 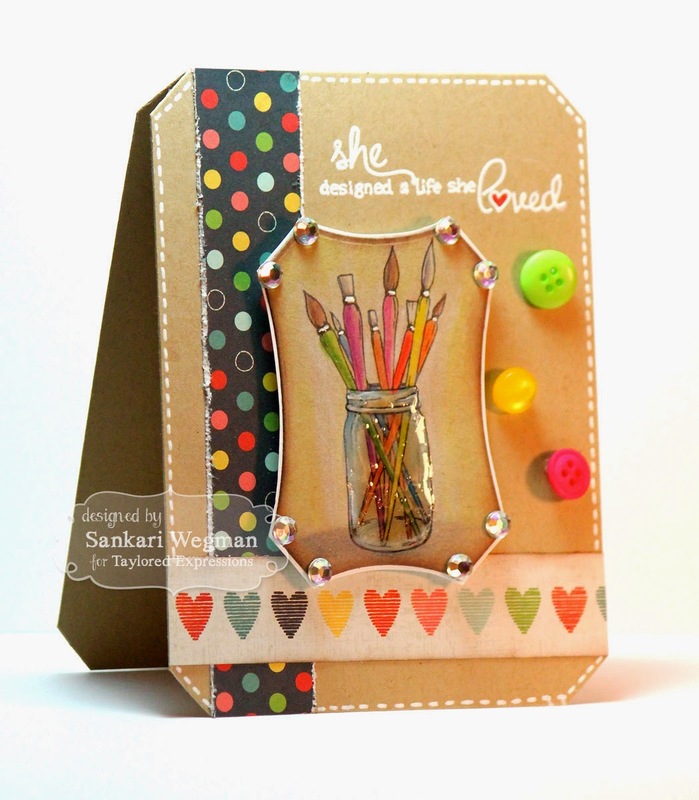 Gorgeous card, Sankari! Love the kraft on kraft and the added shine! You did a brilliant job on that mason jar! What a terrific card! Thank you! STUNNING!!! I love the detail of your colored image! Great projects this week! I LOVE this card! But I always love your cards...you have a signature with the divine colors you use! Always such fun, happy cards!! 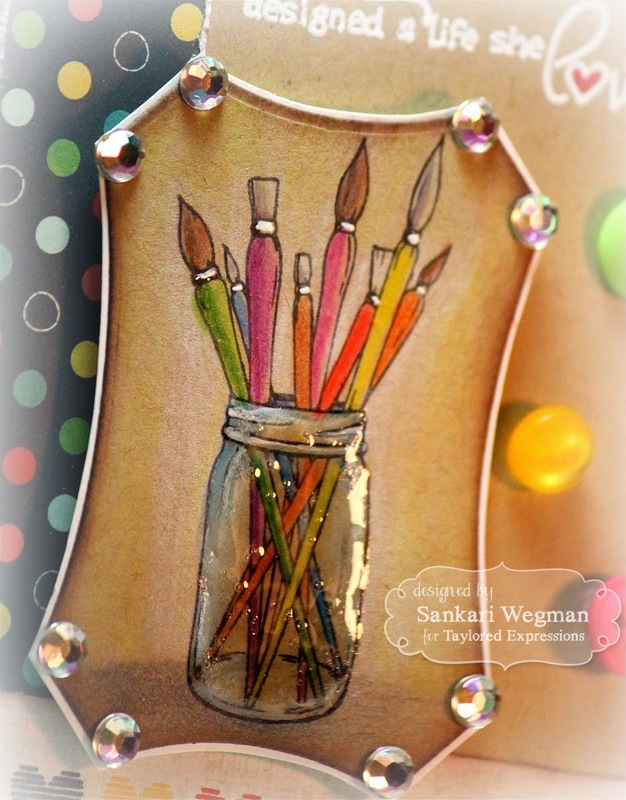 Taylored Expressions & Faber-Castell Blog Hop!